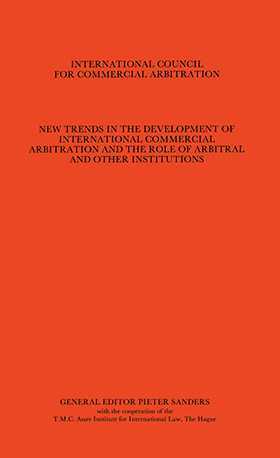 This volume, the first in the Congress Series published by the International Council for Commercial Arbitration (ICCA), the world’s leading organization representing practitioners and academics in the field, collects the papers presented at ICCA’s 7th International Arbitration Congress, held in Hamburg in 1982. Four working groups examine the contributions which conventions, treaties and agreements can make to the development of arbitration; how to resolve disputes involving commodities and raw materials; recent developments in maritime arbitration; and how the newly issued UNCITRAL Conciliation Rules point to a new emphasis on resolving disputes without recourse to arbitration. This working group also discussed recent institutional arrangements for helping to settle disputes through the use of technical expertise or procedures for adapting contracts to changed conditions.